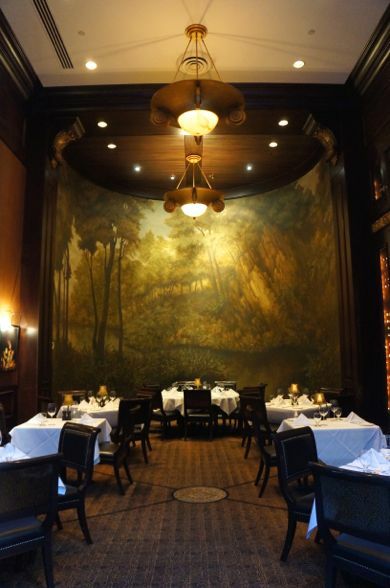 Located on Adeleide Street just east of York Street, you could easily walk right past Hy’s Steakhouse (@Hys_Steakhouse) without realizing its presence. The restaurant is a little set back from the sidewalk but if you look to the north, you’d find the enormous doors leading into the steakhouse. 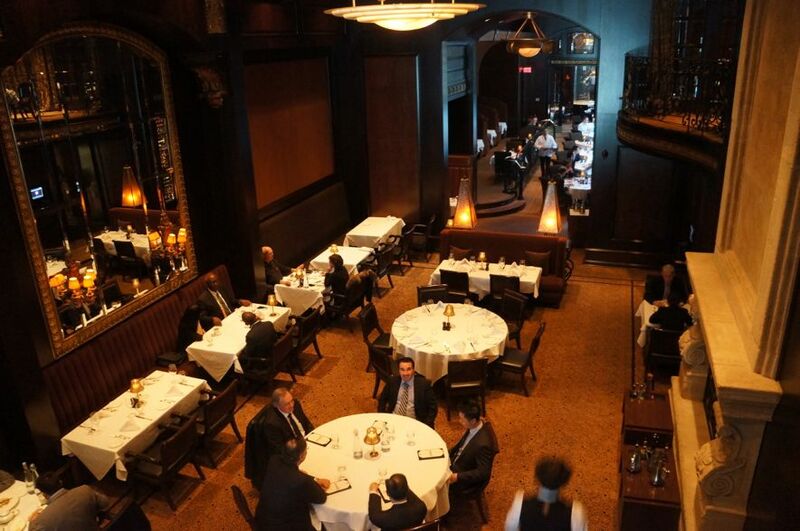 This Canadian steakhouse chain is rich in history. It all started way back in 1955 when Hy Aisenstat opened his first restaurant in Calgary. With great success, he expanded west in the 60’s and subsequently expanded eastward. Upon entering the restaurant, I was amazed at what stood behind those doors. The palatial space is incredibly grand. Just look at those ceilings which go on for miles! We could tell that the space has been updated along the years but with the dim lighting and dark décor, they’ve retained that traditional steakhouse feel. They have a very versatile space with a separate bar/lounge area where you can pop in to grab a drink and a small bite, a stunning private dining room at the back which can accommodate 35 people seated, as well as a second level mezzanine which can accommodate 50 people seated – perfect spaces to hold corporate events. We were invited to Hy’s for lunch which is offered Monday to Friday from 11:00am to 2:30pm. 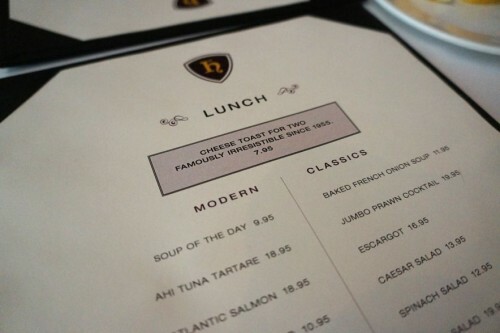 The lunch menu is divided into two sections: Modern which includes items such as ahi tuna tartare and marinated steak salad and Classics which includes steakhouse favourites like French onion soup and escargot. 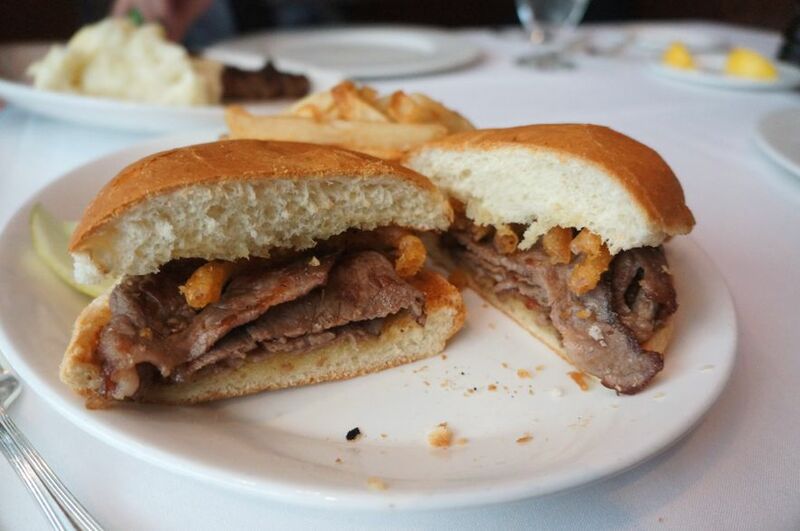 While the lunch menu offers slightly lighter fare than dinner, you can order any of their steaks off their dinner menu too. Hy’s steaks are all cut in-house from specially selected prime grade beef and are aged a minimum of 28 days. 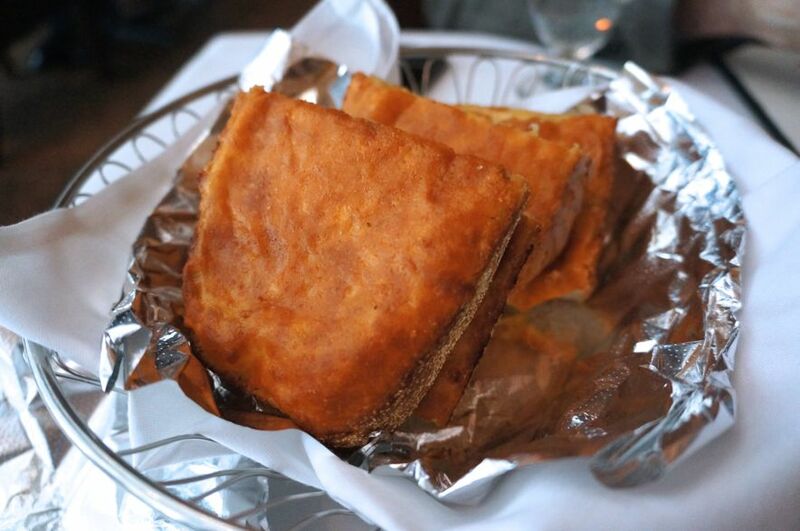 Every meal at Hy’s has to start with their famous cheese toast. Extra cheesy and incredibly satisfying! While the restaurant offers many non-steak options, you really have to try a steak. Our New York strip was cooked exactly to our liking, had a nice amount of marbling and was wonderfully tender. 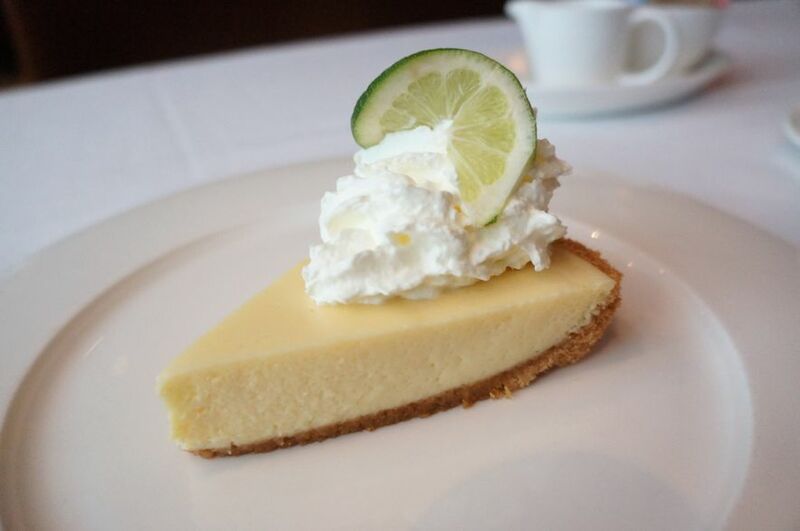 We could’ve stopped there but our server sold us on the key lime pie. I’m glad we found room in our stomachs for dessert. It was a great way to end off the meal. Hy’s is open for dinner Monday to Saturday (5pm-11pm) and for lunch Monday to Friday (11am to 2:30pm). 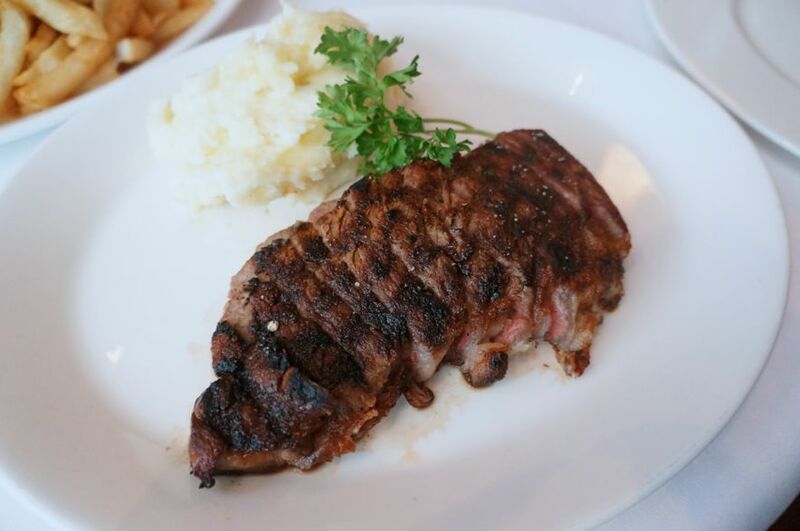 Drop by to satisfy your steak craving!